AMIHA serves twelve Indian Reservations in San Diego, Riverside and Santa Barbara Counties. We have additional information regarding the Reservations served by AMIHA along with links to the Tribe’s websites on the Reservations page. 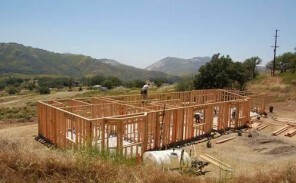 The All Mission Indian Housing Authority is committed to the use of domestically produced items used in its procurement and contracting operations. Bidders and Offerers are encouraged to make the maximum feasible efforts to use products "Made in America", when possible, in preparing their responses to AMIHA solicitation requests. Contact one of our friendly staff members and we will be happy to assist you with your needs. 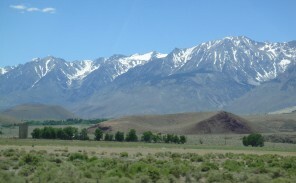 AMIHA currently serves as the Tribally Designated Housing Entity (TDHE) fourteen (14) Southern California Indian Tribes. 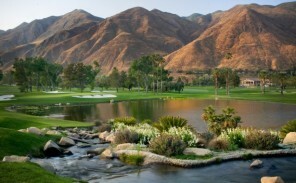 Our consortium includes Agua Caliente, Cabazon, Cahuilla, Jamul, La Jolla, Morongo, Pauma, Pechanga, Santa Rosa, Santa Ynez, Soboba, Torres-Martinez, Twenty-Nine Palms, and Viejas. AMIHA provides differing types of services to these tribes based on their housing needs and direction from tribal leaderships. AMIHA was founded in1970 with the purpose of providing affordable, low income housing to the Tribal Members. AMIHA serves 14 reservations in 3 counties. With over 48 years of experience working with multiple Indian Tribes and construction and rehabilitation of low-income housing, AMIHA is one of only three Indian Housing Authorities in the State of California that represents multiple Tribes. To date, AMIHA has built more than 1,000 housing units in San Diego, Riverside, and Santa Barbara counties. AMIHA’s core mission continues to be the development and management of low income housing programs for eligible program participants. Since 2008, AMIHA has built 88 units and will construct 14 in the upcoming 2017 construction season. Additionally, AMIHA has administered contracts that involved the comprehensive rehabilitation of over 100 existing units during the same timeframe. AMIHA currently has approximately 144 units in management. AMIHA continues to administer the old Mutual Help program for approximately 68 participants and deed over 6 to 7 units per year and administers the home owner insurance and claims processes for our participants. AMIHA also continues to manage the AMERIND home owner’s insurance program for Mutual Help and NAHASDA homeowners. The All Mission Indian Housing Authority is committed to the use of domestically produced items used in its procurement and contracting operations. Bidders and Offerers are encouraged to make the maximum feasible efforts to use products “Made in America”, when possible, in preparing their responses to AMIHA solicitation requests. In early January, 2019, AMIHA staff prepared and submitted five Indian Community Development Block Grant applications on behalf of the Torres-Martinez, Cahuilla, La Jolla, Santa Rosa and Viejas tribes. The Santa Rosa application request funding of a new 120,000 gallon water tank to meet the growing needs of the Reservation. The other four applications were for new home construction. If all four housing applications are awarded, AMIHA will be overseeing the construction of 11 new homes this upcoming construction season. AMIHA has successfully completed more ICDBG projects than any tribal organization in the Nation. In the past five years AMIHA has been awarded eighteen ICDBG’s for new housing construction. Of these eighteen grants, thirteen have been successfully closed out on time and within budget and achieved all performance objectives. The remaining five are 2017 ICDBG’s and are on track to be completed in spring of 2019 within the approved schedule. AMIHA is operating without any HUD monitoring or independent audit findings. Of the two infrastructure projects in the above table, one closed out on time and the second is due to close out in spring 2019. We look forward to another year of providing home ownership opportunities for Tribal members.